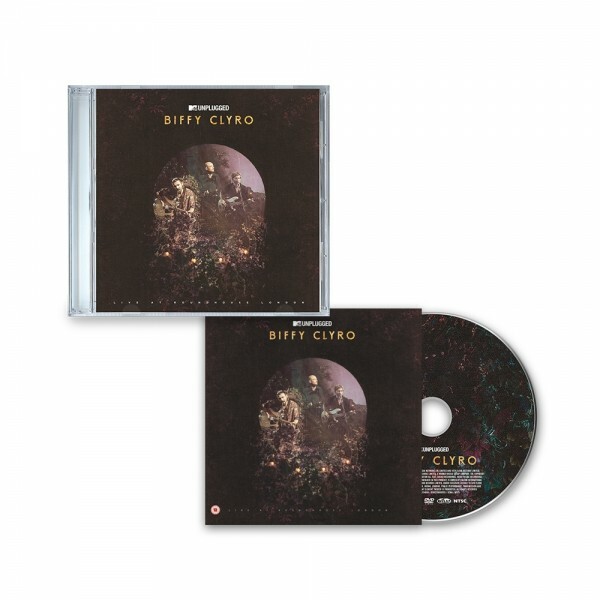 Although their live shows are best known for their electrifying and explosive energy, Biffy Clyro have often demonstrated that their songs possess an added poignancy when stripped back to their essence. Now the band can announce details of their first acoustic album, ‘MTV Unplugged: Live At Roundhouse London’ on May 25th. Recorded at London’s famous Roundhouse venue on November 8th last year, the set represented the UK relaunch of the iconic MTV Unplugged series. The set is rich with favourites from the Biffy catalogue. ‘Machines’ is already long established as a highlight of the band’s live shows as Simon Neil performs accompanied by a single acoustic guitar, while the likes of ‘Many of Horror’, ‘Re-arrange’ and ‘Medicine’ are all natural fits for an Unplugged performance. Yet the band also flourish with stripped-back performances of songs that were more aggressive and dramatic in their original form, such as ‘The Captain’, ‘Black Chandelier’ and ‘Bubbles’. 12-page booklet featuring stills from the show and setlist. All orders will also receive the new Unplugged versions of ‘Many of Horror’, 'Black Chandelier', 'Mountains' and 'Medicine' as an instant MP3 download.